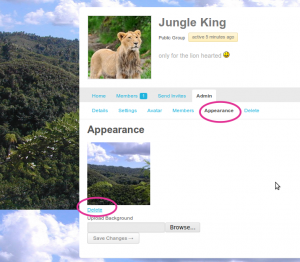 BuddyPress Group Customizer is a simple plugin that allows Site admins/groups admins to change the background of a group. 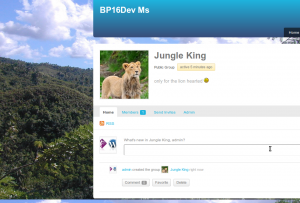 In other words, it does the same for groups as the BP Custom Background for User Profile does for user. My special thanks to our members here for the idea to develop this for group and I will also like to convey my special thanks to James, who motivated me to do this. This is a lite plugin and free . We have been working on a pro version of this plugin, which will give you full control over the appearances of your group(any no. of css/background changes) and that will be available by the month end. 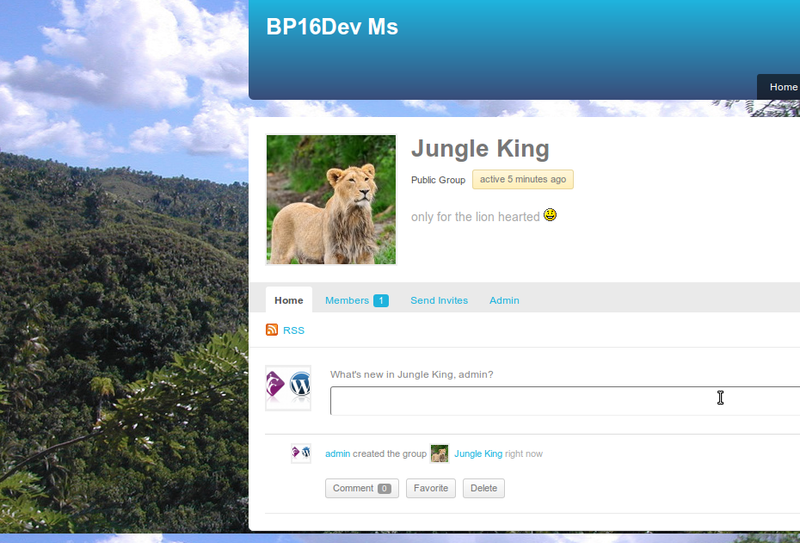 That’s how the single group page looks like. You can upload new background/delete background from the group admin->appearance page. This plugin uses WordPress attachment for handling media and stores the attachment id in group meta using the meta key background_attachment. Just in case you decided to do more fun with the plugin. Though, this is a very basic plugin I hope it will help a few of you to customize your community. This is a free plugin. Get priority support for this plugin.